From 72€ per night - 43 rooms of 4 types. Cozy, bright and comfortable rooms with large windows overlooking the street. These rooms are equipped with flat TV, desk, wardrobe, selected furniture, high profile extra-comfort mattress and spacious rain shower. 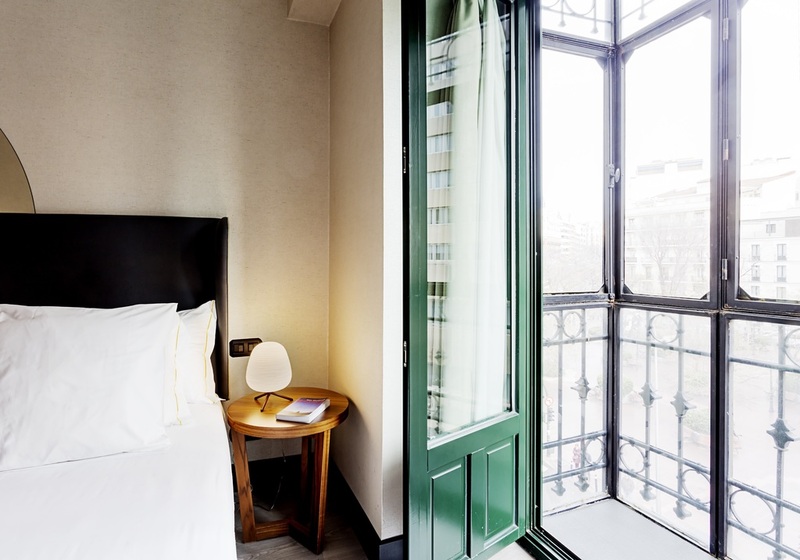 Elegant and contemporary rooms with a balcony overlooking the street, most of them neoclassical glazed balcony. These rooms are equipped with flat TV, desk, wardrobe, high profile extra-comfort mattress, bathrobe, slippers and spacious rain shower. Large and shopisticated rooms with an original rounded layout overlooking the sreet. 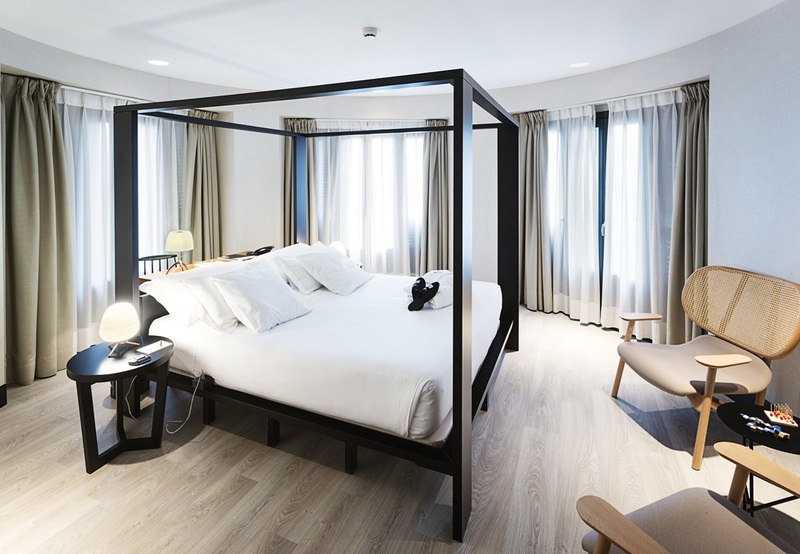 These rooms are equipped with modern canopy bed, flat TV, desk, wardrobe, selected furniture, high profile extra-comfort mattress, bathrobe, and slippers. The bathroom features double sink unit, spacious rain shower and a neoclassical glazed balcony. 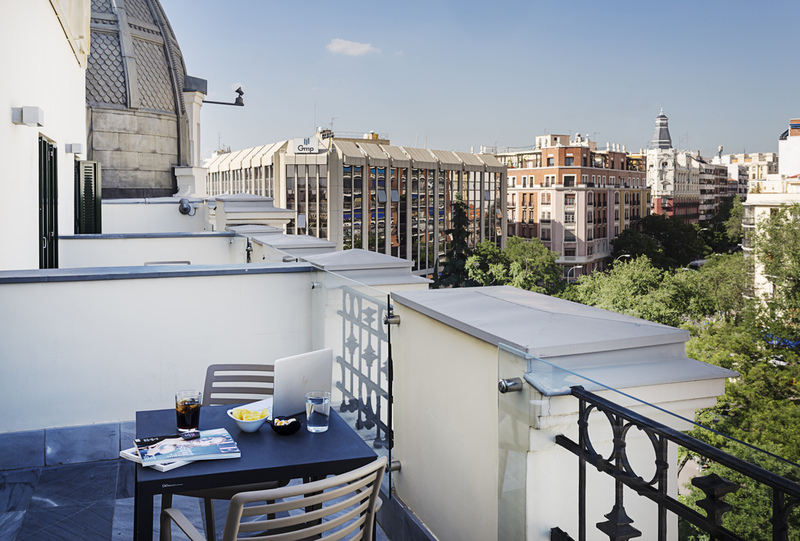 Amazing suite located on the top floor with an exclusive sitting room area and a fantastic terrace overlooking the streets of Madrid. 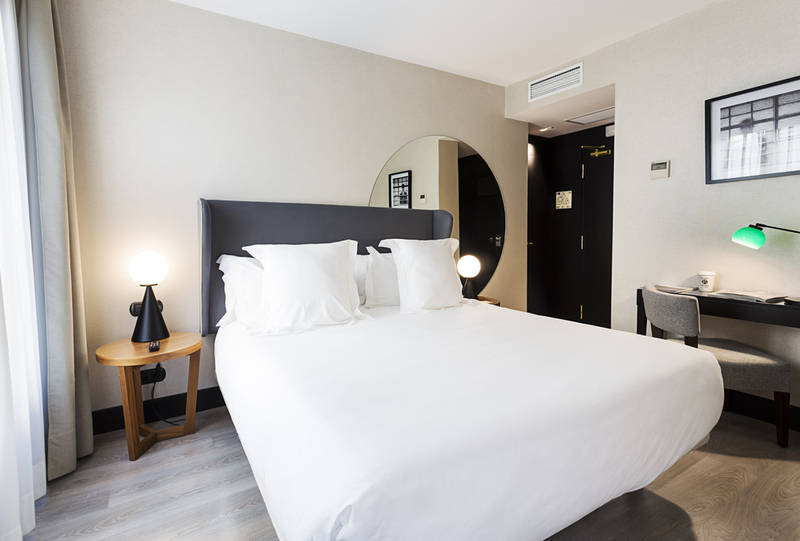 The suites are equipped with flat TV, desk, wardrobe, selected furniture, high profile extra-comfort mattress, bathrobe, slippers and spacious rain shower.